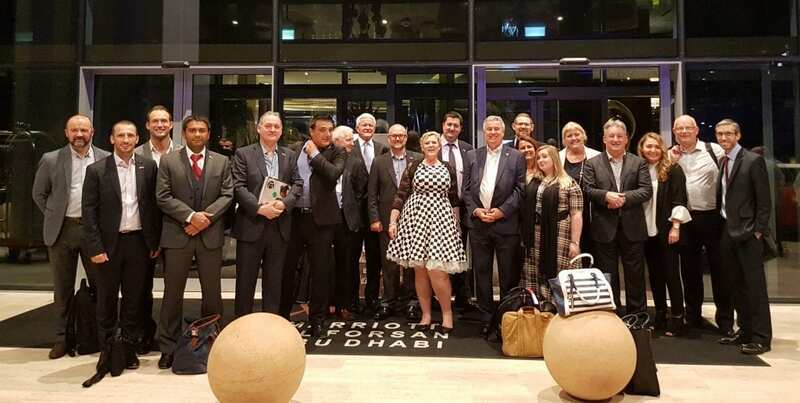 Our managing director, Abigail Stevens, recently completed the Trade Mission to the United Arab Emirates in November. The atmosphere was incredible, with 18 different companies attending the Trade Mission this year spanning from education and services sector to water filtration. The agenda was jam-packed with meetings and briefings and cultural activities. Wow! 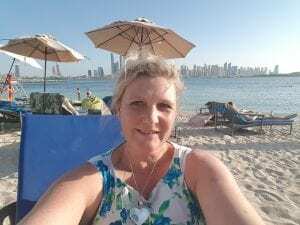 That’s the first thought that came into my head on this year’s Trade Mission to the United Arab Emirates (UAE) – it was almost unrecognisable due to vast changes that have taken place. They say if you visit Dubai every six months you will see a different city and that is so true. I was very impressed by the incredible ambitions the government and business community has pulled off in this thriving region since my last visit here in April 2016. Kickstarting the first day with a breakfast briefing lead by the Editor of Middle East Economic Development (MEED) – Richard Thompson, we dived right into a fast-tracked overview of the Middle East. As the prices of oil have significantly dropped, the conversation in the Middle East is all about ‘The New Norm’. With major leaders in region looking for alternative approaches to build a sustainable economy, and new areas of investment; we’re seeing trade, logistics, financial services, hospitality and tourism, real estate, construction and manufacturing taking over to develop the region strategically for the future. Something else that is changing is the introductory rollout of VAT (value-added tax). Historically the UAE has had no tax, however with the UAE’s vision for long-term growth it’s time the VAT came into play. From the start of 2018, the legislation will change to reflect this but the impact on the challenges of this are still unclear. What we begin to prepare for now is to be ready for operational challenges that will arise such as changes in contracts where this could be imposed, the cost of training the team to understand how VAT will work, and for some businesses there may need to be an update of IT infrastructure to ensure compliance. We have already been assisting in this area through supplying VAT accountants to assist with the roll out. One of the main forces driving this race to digitise and innovate is truly to stay competitive in a changing commercial landscape. The UAE has not been far behind on the trend to digitise; however, they have really amplified their stake in the game with the Mohammed bin Rashid Innovation Fund of $559 million to support trailblazers pave the way for the future and build on digital opportunities. The key players in energy, health, and transport sectors are spearheading the adoption of digital strategies by launching a number of pilot projects including utilising IoT, robotics, and drones, this will definitely be an exciting area to watch. The investment into AI, FinTech, and cybersecurity were two points that really captured me as they will be vital in positioning the UAE as a leader in the Financial Services. The link between the three technologies is a natural flow as each one folds into the other. Fintech is all about leveraging technology in the financial services space. AI is adding another layer onto this that is pushing the transformation of the FinTech market by speeding up processing times, automate processes, provide insights, and boost productivity to increase the bottom line. Last, but definitely now least, is cybersecurity. Without cybersecurity in place, the risk of a system collapse is huge. I think of cybersecurity as being the solid foundation that needs at the core of this progress. Embracing these technologies is both daunting and exciting as the opportunities are boundless; and the investment to match is huge. And finally, Noon.com is here! If you haven’t heard of Noon already, it rivals Amazon and is rapidly growing as the e-commerce online retailer in the region. It’s great to see the start of this exciting journey and to see the way Arabic business is crafting a digital marketplace and encourages growth for local businesses. 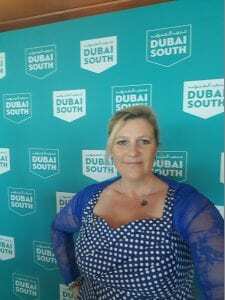 Huge expansions underway – Dubai South, Expo 2020, and the biggest airport in the world! 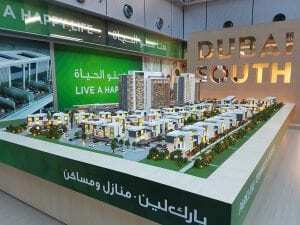 A 65km new city is being built – welcome to Dubai South. The ambitions for this new city are honestly mind-blowing. It will host the world’s largest airport that will fly approx. 200 million people (rivalling Heathrow which has 70 million visitors a year). There are new housing and accommodation complexes being built with a modern transport system being put into place. And impressive office blocks going up in a location which was once just desert. Dubai South will also host Expo 2020 carrying out the theme – ‘Connecting Minds, Creating the Future’. For business leaders all around the world, this will be one of the most pivotal, cutting-edge and critical events to attend. With millions of visitors expected to attend this year-long exhibition, this event is set to be a spectacular celebration bringing with it huge opportunities in the global business arena, redefining mobility, and upholding sustainability. It will be epic and it’s definitely down on my list of events to attend. No doubt this will be one of the ground-breaking events. The crown Prince in Saudi Arabia is truly shaking things up. He is steering the country into innovative new directions to privatise government businesses, reposition the country’s future in digital technology, and diversify the economy. At the heart of this vision is for Saudi Arabia to no longer depend on oil revenues. This is a big deal. Saudi Arabia has had a long history in the petroleum industry and it ranks as one of the largest exporters of oil. Now the focus has shifted, and leaders are looking beyond oil. This vision will bring together key players in the governments, ministries, businesses, and institutions to diversify the economy, expand its capabilities in digital, and leverage its strengths to enable new ideas to flow to modernise the nation. Saudi Arabia is making great waves as it sets up partnerships with leaders from around the world to open economic opportunities. From an accountancy and finance perspective, we’re seeing that as businesses are increasingly privatising there will be more roles opening up in the corporate finance and transaction services space. The goal to generate capital to invest back into the country is what is causing this change. Another area to note is that now we’re also seeing a cultural shift happening in Saudi Arabia as the society opens to women in the workplace, women in high roles, and conversation about equality really coming into the spotlight in Saudi Arabia. It is a fascinating time to keep up with this region and break some of the old myths that have lingered on from the past. For UK businesses wanting to set up in the UAE, the time is now. The Free Zone has been around for a while, it is an area in Dubai where you are able to set up a company and trade internationally. So what’s different now? The business climate of the region is ripe for investment and it’s rapidly accelerating with a strong spirit of entrepreneurship. Not only is the UAE pulling in businesses from abroad to set up, but the UK is also assisting and encouraging leaders to establish a base in. The start-up scene is amazing in the UAE with In5, Silicon Oasis, SeedStartup, i360accelerator and Startup Wings being the best business incubators in the region. Even if you are not looking to be an entrepreneur, the energy in the area is inspiring. It’s fantastic to be surrounded by people who are the movers and shakers of innovation; and no doubt it sparks a lot of intrepreneurship as well for large organisations to harness ideas that will make them more competitive for the future. From our perspective, we’re exciting to help people make their move into the UAE and experience life-changing opportunities that will shape their ways of thinking. The fabulous lifestyle and the year-round sun is enough for most people to consider moving to the UAE, but there is more to the region than just that and some things you may not expect. Let’ s start with the number one reason to move to the UAE – it is the place where things are happening. The UAE is a melting pot of business and luxury combined. The region has been constantly growing and developing, it is hungry in it’s aspirations to be the best in the world and it’s got the investment to back it. Great for families – check, great education system – check, great weather – check. Whether you’re moving with your family, or you’re moving alone, the UAE has exactly what you need and more. One of the most important things people ask me is – ‘is it safe?’. Yes, it is. In fact, the UAE is considered one of the safest places to live with the lowest crime rates in the world. And if you feel like you need a holiday away, you’re only a hop, skip, and jump away from anywhere. With the central location of the UAE, it is an international hub for people with the travel bug. This was only the tip of the iceberg, and the learnings from this Trade Mission have been tremendous. The other areas we covered touched on the UAE Space Agency, new opportunities in R&D, the happiness project, and rethinking what the future workforce will look like for the region. I would like to thank the opportunity to thank Scottish Development International (SDI) for organising the Trade Mission, the British Consulate for the St Andrews Networking event, the Department of Industry and Trade for their briefing in Abu Dhabi, The British Business Group, the variety of Global Scots based in Dubai willing to provide advice, the British Business Centres, Addelshaw Goddard and everyone else involved in this trip. It is wonderful to be part of a thriving community, and it was great to see our amazing partners in the UAE again. Check out more blogs, industry news, and real case studies here or check out our latest hot roles all around the world here.